Just because it's winter doesn't mean you can't drink on a rooftop. The season of outdoor beer gardens and rooftop drinking is over. Or is it? 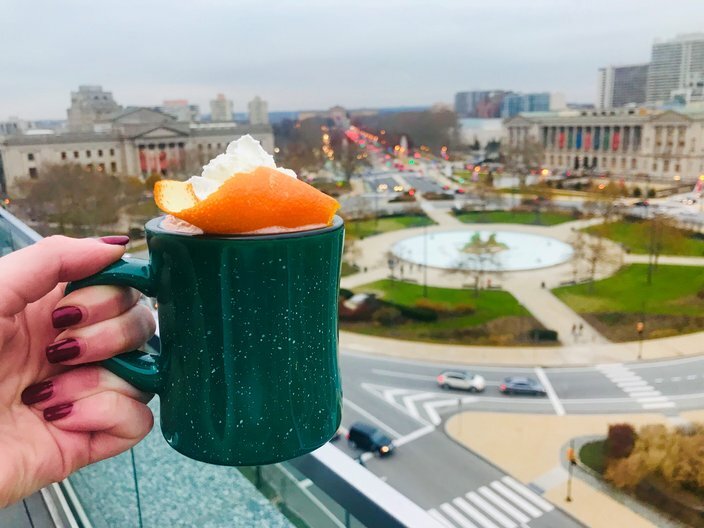 Assembly Rooftop Lounge, which offers views of Logan Square, the Free Library, Franklin Institute and Museum of Art, stays open through the colder months. 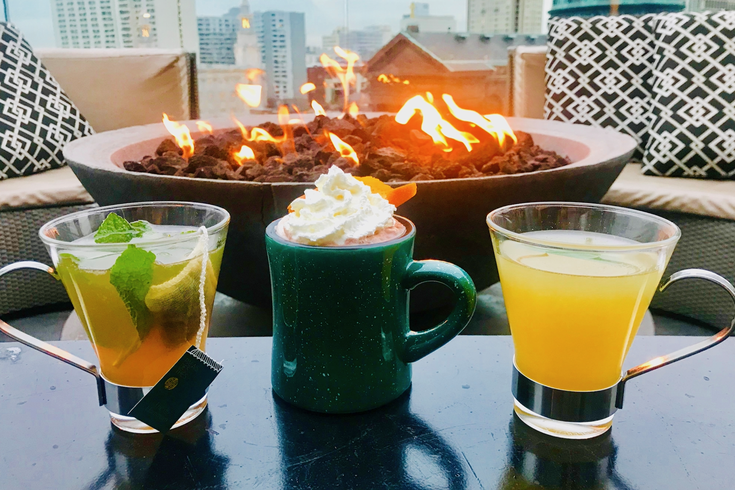 Guests are invited to gather around the lounge's cozy fire pits, while sipping hot drinks from the new winter cocktail menu. Check out the three new additions below. Take in the view, while enjoying the Cool Runnings. There's also a seasonal menu of cold cocktails, plus wine and beer. During the winter months, the rooftop lounge opens at 4 p.m. on Tuesdays through Saturdays. It's located at 1840 Benjamin Franklin Pkwy, Philadelphia, PA 19103.